ESP Company Limited based out of California, is a Japanese manufacturer of electric guitars and basses. In 1975 Hisatake Shibuya opened a shop called Electric Sound Products (ESP) in Tokyo. It provided custom replacement parts for guitars. In 1976 ESP gained a reputation as a provider of high-quality replacement parts. At this time ESP also began crafting guitars under the ESP and Navigator brand in the Japanese market. ESP replacement parts were first introduced into the US in 1983. ESP began crafting custom instruments for local New York artists between 1984 and 1985. Among these artists were Page Hamilton (Helmet), Vernon Reid (Living Colour), Vinnie Vincent & Bruce Kulick (KISS) and Ronnie Wood (The Rolling Stones). At this time ESP also introduced the 400 Series as the first production line distributed in the US. During this same period of time ESP began making the bodies and necks for Kramer Guitars. 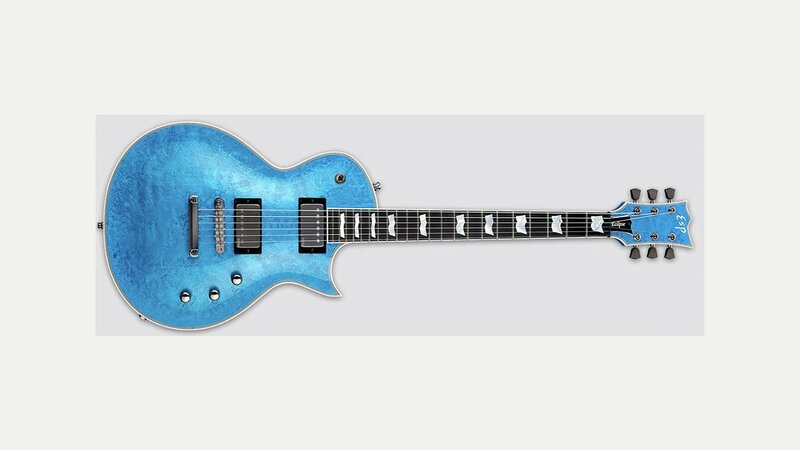 Other manufacturers using ESP as an OEM were Robin Guitars, Schecter Guitar Research and DiMarzio. In 1996 ESP started a new brand, LTD. The LTD guitars are similar to the higher-end ESP guitars but are more affordable and cater mainly for markets outside of Japan. The 1000 and 400 series LTDs are made on an assembly line in Korea whereas the series below 400 are made in Indonesia. The LTD series are made out of cheaper materials and generally use cheaper hardware than the more upscale ESP models. The Custom Shop and Original Series ESPs are handcrafted in Japan while the Standard Series ESPs are made in the ESP factory in Japan. Additionally, ESP has two separate Japan-only lines of guitars: the Grassroots (lower end), and Edwards (Mid-range). The Grassroots guitars are manufactured in Korea and are equivalent or better than Sub-400 series LTDs and can be considered a budget line. The Edwards guitars on the other hand are manufactured in Japan and boast similar hardware and appointments as their higher-end ESP counterparts, but are not handcrafted. In terms of quality, in contrast to the USA lines (i.e. ESP Standard & LTD), Edwards guitars generally lie in between the more upmarket LTDs and ESP Standards. ESP’s guitars overall cater for a wide range of players. There are a variety of models including superstrat-styled guitars, Les Paul-styled guitars, Flying V-styled, Star-styled and others. As ESP technically has two lines, one for USA and Japan, there are slight differences: the ESP USA Line lacks guitars such as the Strat-like Snapper, Forest GT as well as some of the Japanese artist models. Their custom line however has been known to produce some of the most unusual designs such as a Gundam Beam-rifle replica guitar, as well as the “ESP Machinegun” used by the Japanese band Alfee.